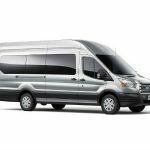 Do you need transportation for your employees, friends or other large group to a meeting, convention, trade show or conference? Driving in multiple vehicles can be a logistical nightmare and a waste of gas. Taking taxis and shuttles are simply too expensive. Transporting everyone in one vehicle will enable your company or organization to save time and money. That’s where United Van Rentals can help. Our convention van rentals are the perfect transportation solution for corporate meetings, trade shows and industry conventions. 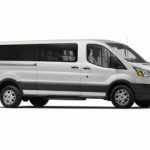 We provide passenger van rentals to accommodate up to 15 people. 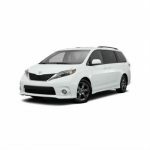 Our 7 & 8 passenger minivans are perfect for small groups. 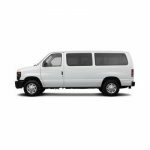 Our 11 passenger vans feature plenty of space for luggage and equipment. 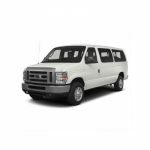 Our 12 and 15 passenger vans are ideal for large groups. 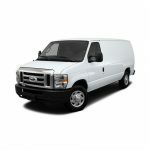 Cargo vans are ideal to transport product, display booths or other bulky cargo that the passenger vans are limited to. Organizing a business trip and worrying about how to transport a number of people is an irritating task in itself…so leave the transportation needs to us. 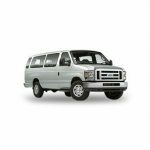 Our convention van rentals is a fun way for everyone to travel together. 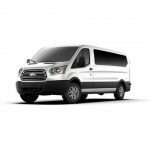 Don’t take multiple cars to that upcoming convention or meeting; simplify your travels with a passenger van rental from United Van Rentals. Anaheim Convention Center — The Anaheim Convention Center is located across from the Disneyland Resort. The largest center of its kind in the west, the Anaheim Convention center has hosted everything from Olympic events to comic conventions. Pasadena Convention Center — Located just 11 miles from downtown Los Angeles, the state-of-the-art Pasadena Convention Center offers a 55,000-square-foot Exhibit Hall, 25,000 square-foot Ballroom and 29 Meeting Rooms. Long Beach Convention Center — Whether you are planning a tradeshow, convention, corporate meeting or special event, the Long Beach Convention & Entertainment Center is an ideal location. Located in the heart of downtown Long Beach, the Center is within walking distance to more than 5,000 hotel rooms. Ontario Convention Center — The Ontario Convention Center offers stunning views as well as world-class amenities. Our building offers state-of-the-art technology and modern design that can accommodate events of all sizes and types. Los Angeles Convention Center — Located in the heart of downtown L.A., the Los Angeles Convention Center is the leading destination for conventions, trade shows, and exhibitions. Palm Springs Convention Center — A meeting destination where you can literally fly in, check in, and get to your meeting in a half-hour. The Convention Center is less than 2 miles from Palm Springs International Airport and offers over 1,600 hotel rooms within walking distance. San Diego Convention Center — The San Diego Convention Center is located in the heart of downtown San Diego within a mile and a half of more than 11,000 first-class hotel rooms. Las Vegas Convention Center — The Las Vegas Convention Center is located adjacent to the famous Las Vegas Strip, encompassing over 3 million square feet with over 200,000 square feet of meeting space. The facility is one of the most innovative and functional convention centers in the USA – conveniently located within walking distance of over 100,000 hotel rooms.